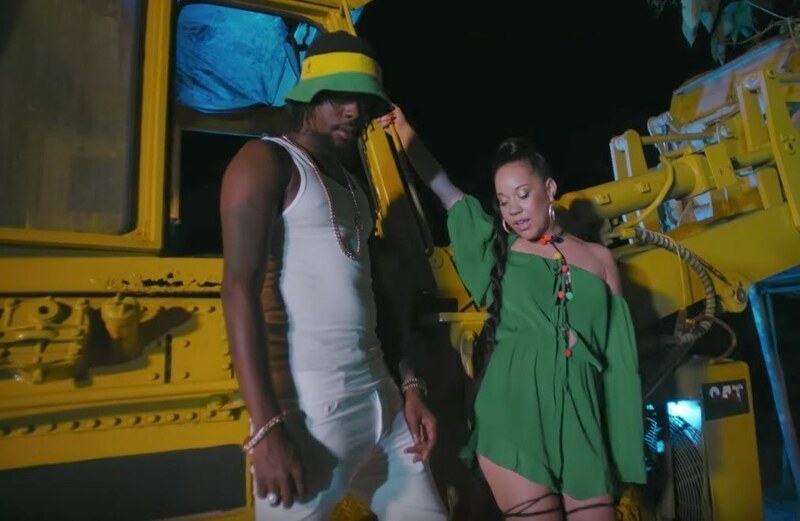 Daath Music Lyrics | Watch Kyla & Popcaan New Video "You Ain't Mine"
R&B singer Kyla travels to Jamaica to link up with her collaborator Popcaan for the “You Ain’t Mine” video. The track has been doing well among dancehall fans overseas since it’s release earlier this month. The Philippines singer travels to Jamaica recently to shoot the video with director Lil Internet. The cut shows some breathtaking video of the island mountain side and the ocean. The clip starts out with Kyla showing off her banging body before linking up with Popcaan later in the night. Some local dancers also show off their dance moves. Kyla career has been blowing up since last year when Drake sampled her 2008 funky single “Do You Mind?” for his dancehall banger “One Dance.” That track was one of the biggest song on the planet last year and could go down as one of the biggest hits of both their careers. Her newest hit “You Ain’t Mine” is with dancehall great Popcaan and we will be watching this track closely to see how well is does. This marks the second time that the R&B singer is working with the Unruly Boss.